The event will continue to take place at Park Farm, Dumfries, which last year proved to be an incredibly popular first-time venue for the event. Park Farm allows more young people to enjoy a fantastic range of interactive and enjoyable activities, including a range of top UK headline artists that round off each day. Sigma are a British drum and bass DJ and record production duo consisting of Cameron James “Cam” Edwards and Joseph Aluin “Joe” Lenzie. Their single “Nobody to Love” topped the UK Singles Chart, becoming their first UK number one. Their second was the follow-up single “Changing”, featuring Paloma Faith. Louisa Johnson is an English singer-songwriter. In 2015, she was the winner of the twelfth series of The X Factor UK, becoming the programme’s youngest winner at the age of 17. In May 2016, she released a single with Clean Bandit called “Tears”. The song was a commercial success, reaching the top five in Scotland and in the UK, and charting in many other European countries. Professor Green, is a British rapper, singer, songwriter, actor and television personality from London. Since rising to prominence in 2009 when he toured with Lily Allen, he has had a string of Top 10 hits, including: “Just be Good to Green”, “I Need You Tonight” and “Read All About It” with guest vocals from Emeli Sande. Youth Beatz have also announced that this year’s festival will include a 2nd performance stage called “UPLOAD” that will provide 32 performance slots for young musicians from across Dumfries and Galloway to show off their talent. Other areas of interest around the site include the Kids Tent, I Am A Raver Tent, Youth Information Zone, Youth Work Tent and much much more! The main Youth Beatz days will end a 7 day Fringe Festival which for the first time will see a number of community based events running the length and breadth of Dumfries and Galloway, providing communities with small events for young people, and will be ran in partnership with schools and various other community groups. The festival will see an expansion of The Toon, which is a hard hitting interactive educational drama delivered by local young people and will provide young people with information and advice when dealing with issues that commonly affect their lives, such as: domestic abuse, poverty, bullying, alcohol, sectarianism and legal highs. The award winning event is managed through a partnership led by Dumfries and Galloway Council’s Young Peoples Service, in conjunction with the Oasis Events Team. Formed in 2010, the Oasis Events Team have undergone a great deal of training and events experience and now work in close partnership with Dumfries and Galloway Council’s Young Peoples Services staff to co-design large scale events, such as Youth Beatz. The Events Team are also now training up the new youth members of the group in a peer led approach. 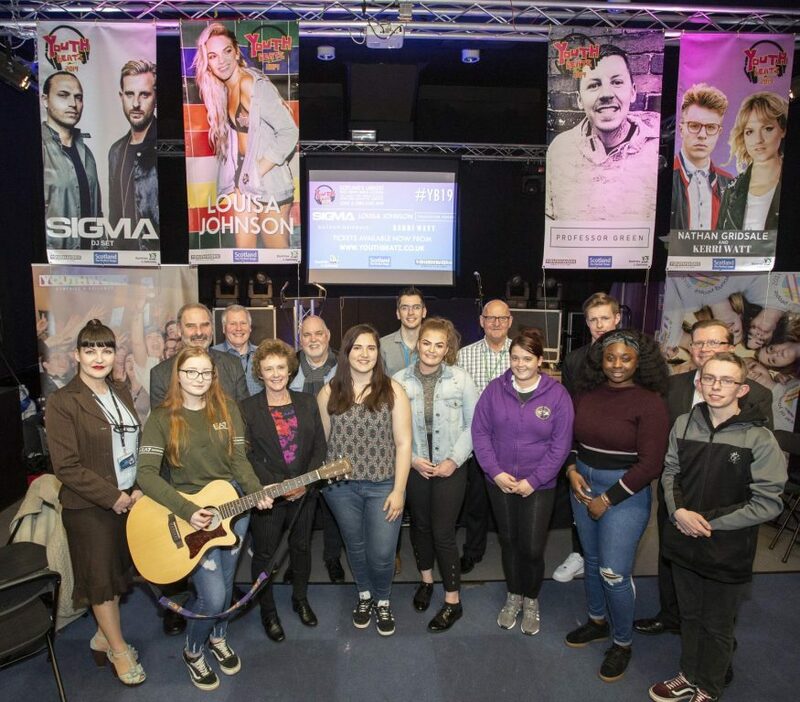 Vital funding secured from Event Scotland, has ensured that we can keep the legacy of Year of Young People 2018 alive in Dumfries and Galloway with regards to the continuation of the Youth Beatz festival.